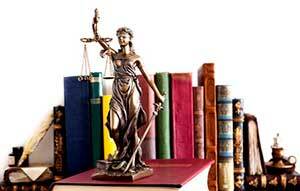 Chapter 11 bankruptcy is commonly known as the “business reorganization” bankruptcy. Though chapter 11 is most often used by financially troubled corporations or partnerships to reorganize, individuals can also file for chapter 11 bankruptcy. Chapter 11 costs more than any other bankruptcy case, generally speaking, because the cases are longer and more complex. Small businesses in chapter 11 comply with rules that streamline the case and thus lower the costs for them as compared to larger business entities. Individuals with complex estates may find chapter 11 relief worth the extra expense. For some individuals with assets and liabilities valued over the chapter 13 maximum, chapter 11 is their only option for restructuring debt other than liquidation. In ancient times, debtors who could not pay their debts were put to death or forced into debt slavery, often for life. Thankfully, American bankruptcy is based on the traditions that evolved in England which evolved to give debtors a fresh start if they relinquished most of their assets to their creditors. Still, bankrupt debtors were viewed as not much better than common criminals. In the United States, the Constitution vested Congress with authority to legislate bankruptcy laws. Initially, American bankruptcy proceedings were involuntary and only available to traders. 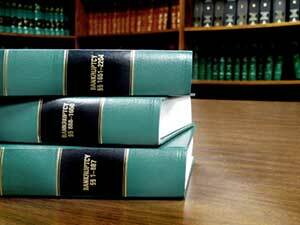 Chapter 11 is a relatively modern development in American bankruptcy proceedings. It is rooted in 19th century railroad receiverships. In the 1840’s, railroad company insolvencies were handled by what was then known as “Federal equity receiverships”. These receiverships were processed in courts of equity, separate from bankruptcy proceedings. Courts of equity handled these receivership proceedings because the public had a significant interest in railroads, thus their insolvencies were managed in a manner that was in the best interests of the creditors, the debtor, and the public. Those concepts were considered equitable in nature, rather than strictly legal in the traditional sense. If a railroad were to be sold, it would be sold as a going concern, and not liquidated in piecemeal fashion. These railroad proceedings often involved a takeover by another railroad and a newly reorganized railroad company. In 1874, the law expanded to permit other business entities to reorganize, but that law was repealed seven years later in 1881. From that point until the 1930’s, only railroads were allowed to reorganize because of their special, quasi-public character. All other financially troubled business entities had to liquidate. In the early 1930’s, the Federal government eliminated the distinction between courts of equity and courts of law. During the same time period, the economic crash of 1929-1931 was causing severe hardship on businesses. Bankruptcy losses were over $3 billion from 1925 to about 1930, a huge sum in those days. The average recovery by creditors was only 8%. Congress had to develop a new bankruptcy law that would support business reorganization rather than fire sale liquidations. The political climate favored various economic reforms but disputes over how to accomplish it delayed the final passage. In dramatic fashion, on the last day of his administration in 1933, President Hoover signed a new Bankruptcy Act into law. It included limited financial reorganization for certain debtors. Finally, in 1934, the Corporate Reorganizations Act was signed into law, which permitted certain corporate and municipal reorganizations. Immediately upon passage, thousands of corporations filed to reorganize under the new law. A few years later, amendments to the Bankruptcy Act included special chapter 11 provisions for smaller corporations to reorganize. The Securities and Exchange Commission administered bankruptcy cases. Then, in 1978, major reforms to the Bankruptcy Act expanded the authority of bankruptcy courts and permitted corporations of any size to seek chapter 11 relief in bankruptcy court. Automatic Stay. Immediately upon filing the bankruptcy petition along with the debtor’s required financial information, the automatic stay becomes effective. The automatic stay prohibits creditors from taking any action to collect debts without the permission of the bankruptcy court. This prohibition applies to any legal proceeding that may be pending, repossession or foreclosure activity, phone calls, freezing bank accounts, shutting off utilities, or any other action by the creditor. Debtor in Possession. The debtor becomes the “debtor-in-possession” (“DIP”). No bankruptcy trustee is appointed to operate the business in the absence of evidence of fraud or malfeasance. The DIP continues to operate the business during the bankruptcy case under the oversight of the bankruptcy court. The court must approve actions outside of the normal course of business, such as transfers of assets, use of creditors’ collateral, abandonment of property, any financing arrangements, and similar actions. Creditors will have an opportunity to object and express their views, either individually or as one group through the “creditors committee” which exists in most chapter 11 cases. Plan. The DIP has 4 months to file a plan of reorganization. The court has discretion to extend that exclusivity period. If the plan is fair, feasible, and will pay the creditors at least as much as they would get in a chapter 7 liquidation, and otherwise meets the chapter 11 criteria for confirmation, the bankruptcy court will confirm the plan even if creditors object to it. This is known as the “cram down”. If it is clear that the DIP cannot satisfy the chapter 11 criteria for plan confirmation, the bankruptcy court will not confirm the plan. In that case, any creditor can propose a plan, or ask the court to dismiss the case or convert it to a chapter 7 liquidation proceeding. Post Confirmation. Once the court confirms the plan, the DIP must comply with its obligations under the plan. The Bankruptcy Code places no time limits on the length of the repayment obligations. The DIP’s obligations to pay any debt not paid under the plan are discharged and can never be collected from the DIP. However, this does not protect third parties such a guarantors from collection actions. Chapter 11 proceedings are tricky and can be quite complicated. If you are contemplating filing for bankruptcy relief, whether chapter 11 or other form of relief, you should consult an attorney experienced in those cases. Filing bankruptcy is a significant step and you need the help of a qualified bankruptcy and workouts attorney to fully protect your interests.